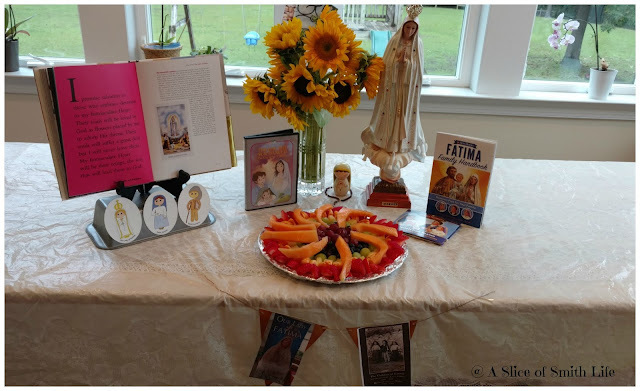 A Slice of Smith Life: 100th Anniversary of the Miracle of the Sun at Fatima! 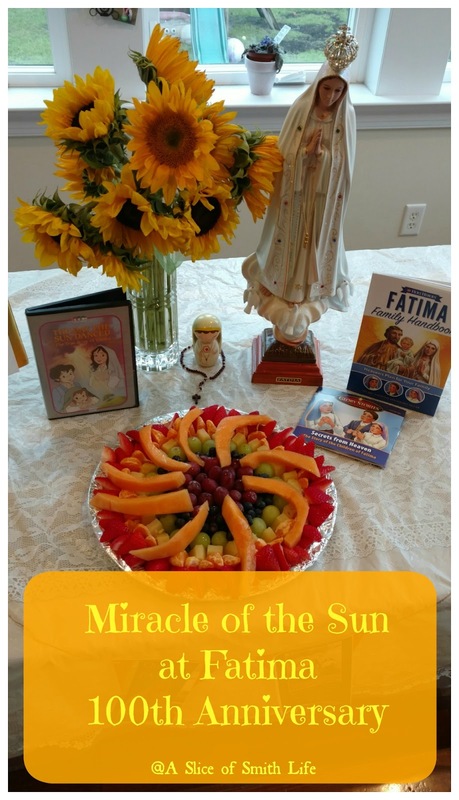 100th Anniversary of the Miracle of the Sun at Fatima! A few years ago we celebrated the "Miracle of the Sun" on October 13 for the first time. 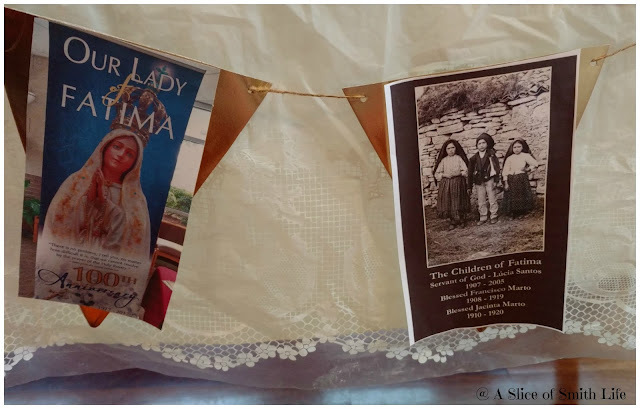 Our Lady of Fatima's feast day is celebrated on May 13 and you can read how our Blessed Mother first appeared to three children on May 13, 1917 near the town of Fatima, in Portugal. May 13, 2017 marked 100 years since the first Marian apparition in Fatima on the May 13, 1917 date. We celebrated the 100th year with "100 cupcakes". 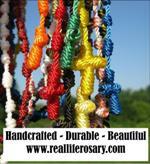 One of the children, Lucia, asked the woman (who appeared to the children holding a rosary), "Who are you? What do you want?" She answered, " I am from heaven. Come hear on the thirteenth of each month for five months. On October 13, I will give a sign that will make everyone believe." On October 13, 1917, 70,000 people came to witness the miracle that Mary had promised. The rain suddenly stopped and Mary appeared to the children. The clouds parted and the sun came out quickly drying the soaked ground. 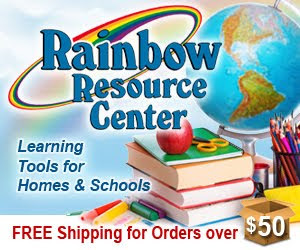 The crowds saw the sun spinning and shooting out flames with all the colors of the rainbow. October 13, 2017 was the 100th Anniversary of the "Miracle of Sun" at Fatima! Such an exciting time to live during! 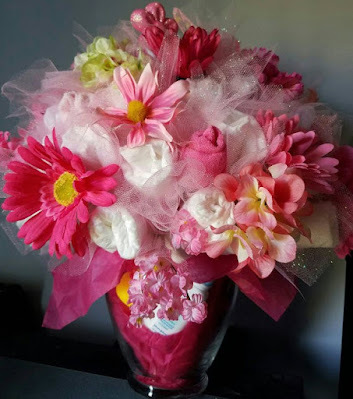 This is how I decorated our kitchen table in the morning to celebrate this miraculous event. To celebrate this miracle of the sun, we had our spinning sun fruit platter that I've made for the past few years now. 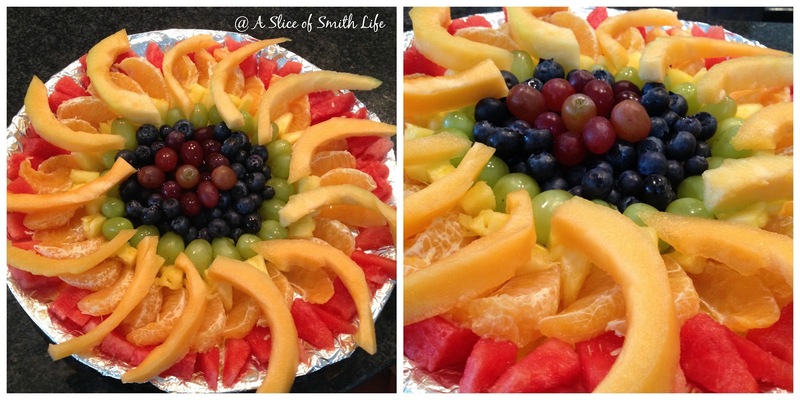 I was inspired to make this fun and festive fruit tray when I saw it on Tiffany's blog post at Family at the Foot of the Cross. Here is a photo from a few years ago where I used watermelon for the red part. This year I used cut up strawberries instead. I hung this small banner up in front of the table. I took a photo of a 100th Anniversary display that is at our parish and printed the picture. Then I love this photo of the 3 shepherd children Mary appeared to. 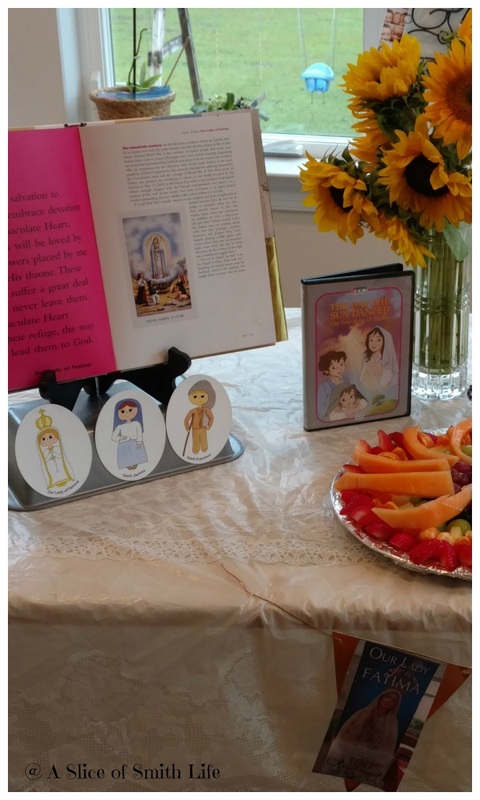 The open book I displayed is Visions of Mary that highlights various Marian apparitions, including Our Lady of Fatima. 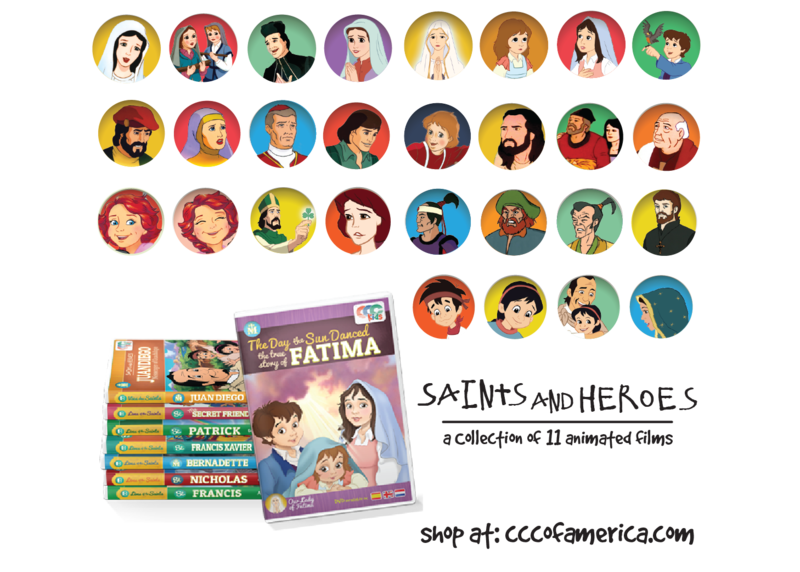 Below the book are the adorable Our Lady of Fatima, Saint Jacinta and Saint Francisco My Catholic Saint Magnets. You can get a new Saint magnet mailed to you each month with a one time low subscription cost! 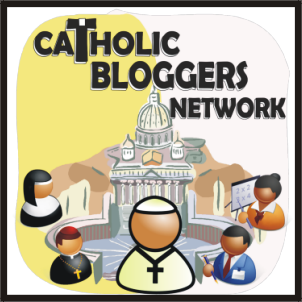 We also watched CCC of America's DVD again titled "The Day the Sun Danced: The True Story of Fatima". 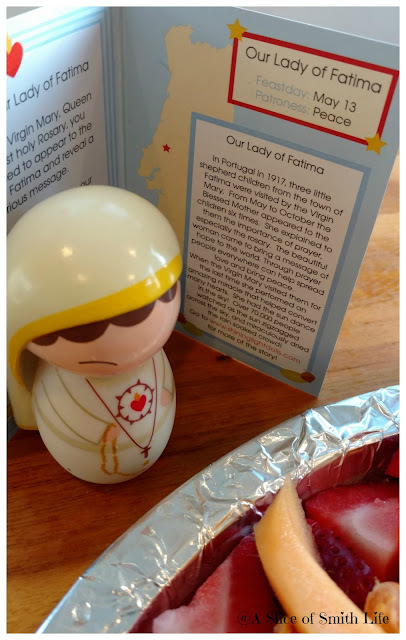 We have the Fatima Shining Light Doll for this special celebration. I love these little vinyl figures. We already have Saint Nicholas and Our Lady of Guadalupe Shining Light Dolls that are enjoyed by our family. We recently added another doll to our collection, Saint Teresa of Calcutta, one of our newest Saints in the Church. This year to commemorate the 100th Anniversary, I purchased the Glory Stories "Secrets from Heaven" CD and the Fatima Family Handbook from Holy Heroes. 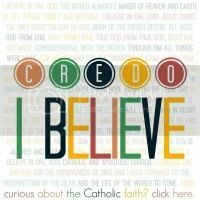 The CD is excellent and the Family Handbook has so much great information and photos about Fatima. The Lady of Fatima statue on our table is actually a borrowed one from our parish. This statue visits parishioners homes each week where families commit to inviting Mary into their homes and hearts and pray the rosary. I volunteered back in September to have the statue visit our home during the October 13 week as another way to remember this 100th anniversary miracle. Isn't she beautiful? We loved having her in our home and although the statue has traveled to another home, we always have Mary in our hearts and home if we invite her. 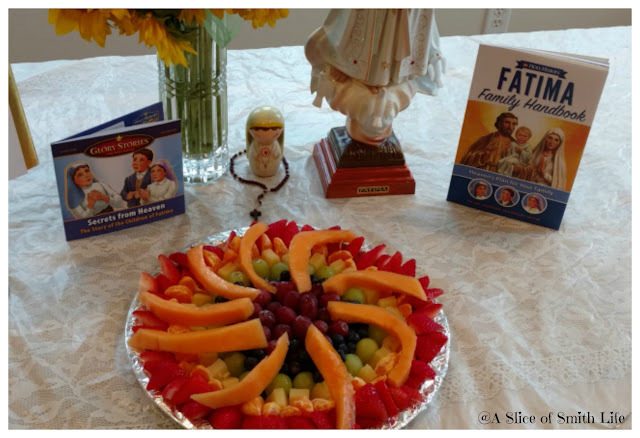 In the evening we had a few homeschool families come over for a potluck dinner where we prayed the rosary and then had food and fellowship. It was a beautiful way to end a beautiful, historic day! Fatima: 4 great lessons from the “Miracle of the Sun"
Happy 16th Birthday to our Son!